With all the media coverage that will be focused on Apple in the coming months, it’s no surprise that Virgin Mobile is hoping to ride that wave. 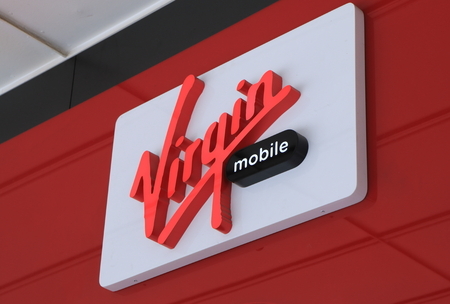 Virgin Mobile recently announced that when you bring your existing iPhone and transfer your phone number to the “Inner Circle” plan, you will enjoy 12 months of unlimited talk, text and high-speed data for just $1 on Virgin Mobile’s nationwide network. Now any iPhone owner willing to switch to Virgin can get in on its deal of 12 months of unlimited data for $1. When Virgin Mobile relaunched in June, the unlimited data for $1 was tied to the purchase of a new iPhone. Now, however, any iPhone owner who ports his or her number to Virgin’s new Inner Circle plan will get the same deal. After the first year, Virgin Mobile will move customers to the standard unlimited plan of $50 per month, but customers can get another six months of service for $1 every time they upgrade to a new iPhone. Virgin, one of the prepaid arms of Sprint, first announced the $1-a-year service, dubbed Inner Circle, as part of a major shift in strategy, including no longer selling Android phones. Executives pointed out the recent offer extension by Sprint for its iPhone-only Virgin Inner Circle experiment as validation for the success of its prepaid and digital strategies. More importantly, this move is going to create a presence for Virgin Mobile in Apple’s retail stores, the first time a prepaid carrier has had a presence there.